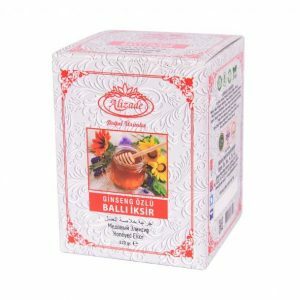 This organic exceptional honey based Turkish ixir mixed with 40 differents herbs. It is a tradition coming from Ottoman Empire. 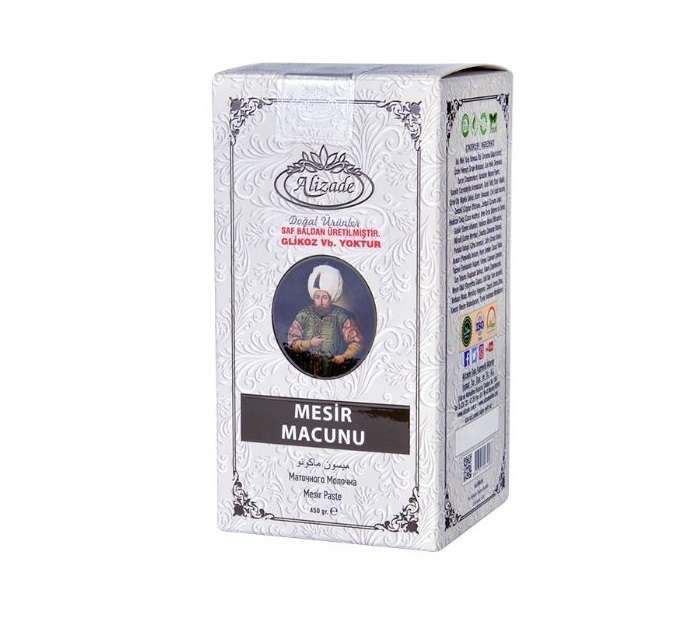 It was first made in 15th century as a medicine by Merkez Efendi. It has been healing for 474 years. 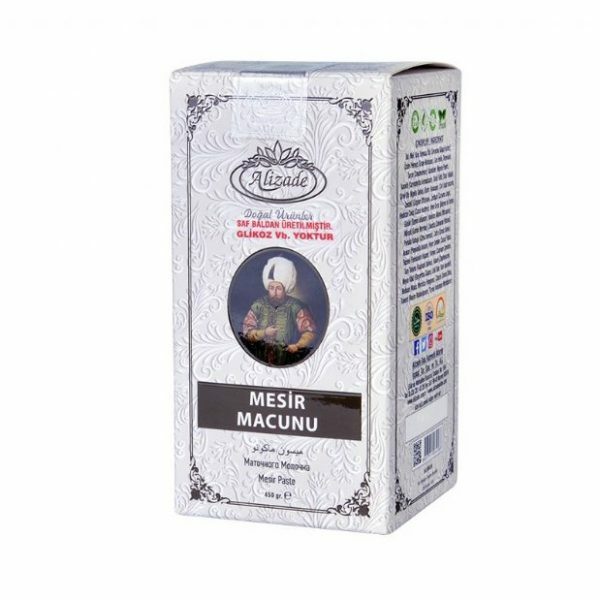 Still, Mesir Paste is popular healing and healthcare and strenghth mix in Turkey. Also believed that it has strong aphrodisiac effect on men. 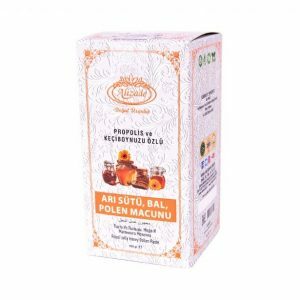 It strengthens the body, invigorates the heart, soothes the nerves and improves memory and brainpower. 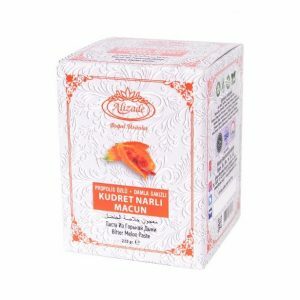 It is especially good for stimulating the appetite and easing urinary difficulties. 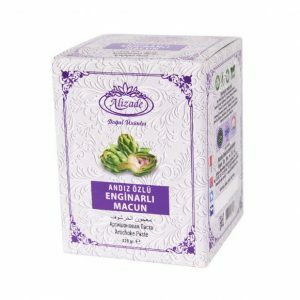 It cleanses the blood, acts as a natural detoxifier and is the oldest known and most effective aphrodisiac.